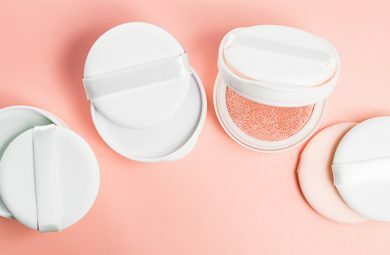 Yes, we all know that we’re technically meant to replace our Beauty Blender every few months, but who really does that? We’re not keen to drop over 100 bucks every year just to keep our makeup application looking smooth. Well maybe we would, but wouldn’t it be easier to make your beauty blender’s life last a little longer? If you make a point to keep your Beauty Blender in check and give it a good cleanse regularly, then the chances are you can make it last up to a year, even if you are heavy handed. Find out our top methods on how to clean a Beauty Blender for a long-lasting sponge! 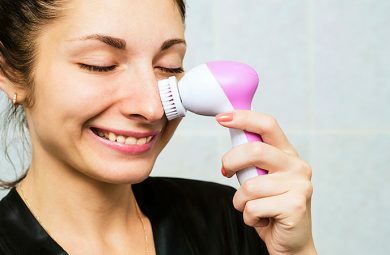 Beauty Blender as a brand does sell its very own customized solid blender cleanser. This is essentially a bar of soap that you can rub your blender onto to help cleanse it. If you’d rather not dish out all that extra cash, you can easily just get a simple solid bar of soap. Run the soap bar under water for a while and then start to rub your Beauty Blender on it. Rub, rub and then squeeze it under a running tap. You’ll start to see foundation tinted water running. Keep going with this method until the water runs clear! If you’re a fan of beauty viral videos and trends, you’ll be familiar with this one. Recently, a beauty blender cleaning method went viral. People were sticking their beauty blenders into the microwave and nobody could believe the results. Now, hold on. Don’t toss your Beauty Blender in and go for it. There are very specific steps to be taken for this method to work. Start with a glass of water. Add some dishwasher soap to the glass and then place your sponge into the liquid and microwave it for 1 minute. You will be shook by the results! You don’t even have to put it in any hard work, and your Beauty Blender will be pinker than ever. It’s hard to believe, but this method works kind of like a washing machine. Just try it out – you won’t regret it! If you can’t tell by now, we’re all about using easily accessible household items to get your beauty blender bright pink again. No one is trying to spend even more money to clean the product they bought! The shampoo method is the classic way to wash any makeup brushes and it applies to Beauty Blenders as well. Start by dampening your sponge and then squeeze some shampoo directly onto it. Rub it into your palm while under running water. As with the first method, continue until the water runs clear! Is there anything that a little extra virgin olive oil can’t help with? 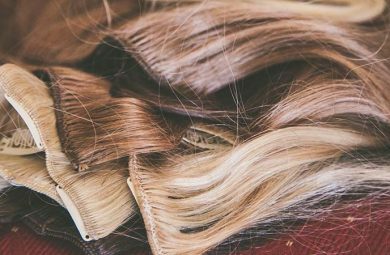 It’s definitely one of those few holy grail household ingredients that apply to countless DIY beauty solutions. Washing your Beauty Blender with olive oil works the same way as when washing with shampoo. It may sound like a messy ordeal, but cleaning your beauty blender with an oil can actually deeply condition it and leave it feeling softer than ever. Beauty Blender even have their own brand oil cleanser! You just start by squeezing some oil directly onto the sponge and just rub it into the palm of your hand. Squeeze the oil out under running water and repeat the same steps until the liquid you squeeze out of your Beauty Blender is clear! Lastly, we have one more lazy-girl cleansing technique! If you’re not bothered to stand around and rub and squeeze your Beauty Blender till it’s clean then this method is for you. Start by filling a bowl with water and some soap. This can either be basic soap or dishwasher soap (or some makeup brush cleanser liquid if you really want it to work well!). Place your beauty sponge into the bowl, squeezing it a few times to allow the liquid to soak in. Once that’s done, you just forget about it and leave it soaking in there for 30 minutes. When 30 minutes have passed, just squeeze it a couple of times under some running water and it should be as clean as new! 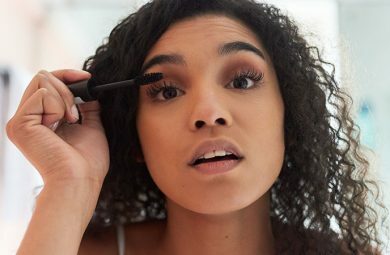 What’s the Difference Between Mascara Brushes?